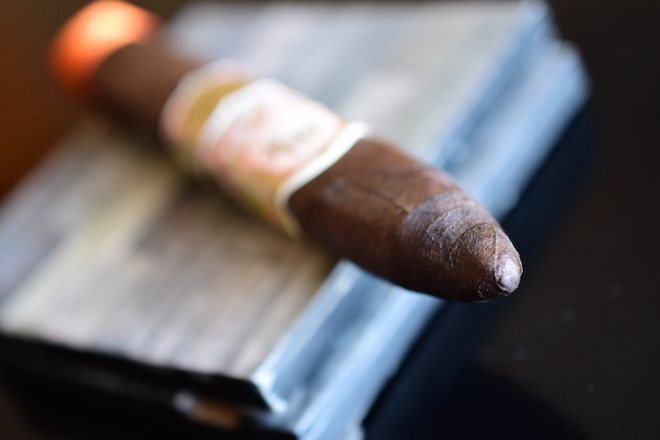 The My Father Le Bijou 1922 Torpedo Box Press has commanded quite a bit of attention lately due to it finding it’s way into the top spot in last years Cigar of the Year in Cigar Aficionado magazine. While I haven’t had this particular format in sometime, I have always been a fan of the blend and figured it would be a perfect time to revisit the cigar. 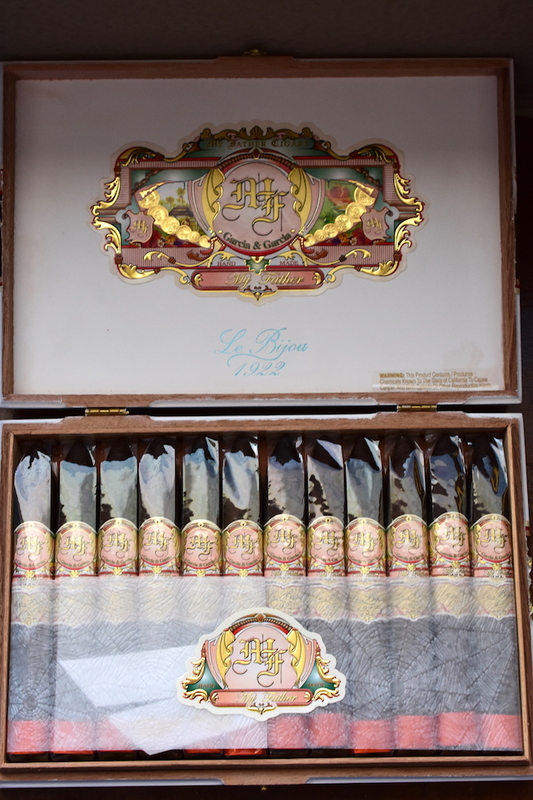 The My Father line produced by My Father Cigars, blended by Jaime Garcia to celebrate his father Jose Pepin Garcia. Much in the same way, the line extension of the My Father Le Bijou 1922 is created by Jose Pepin Garcia to celebrate his father as well. “Le Bijou” translates to “The Jewel” while the year 1922 represents the birth year of Jose Pepin Garcia’s father. 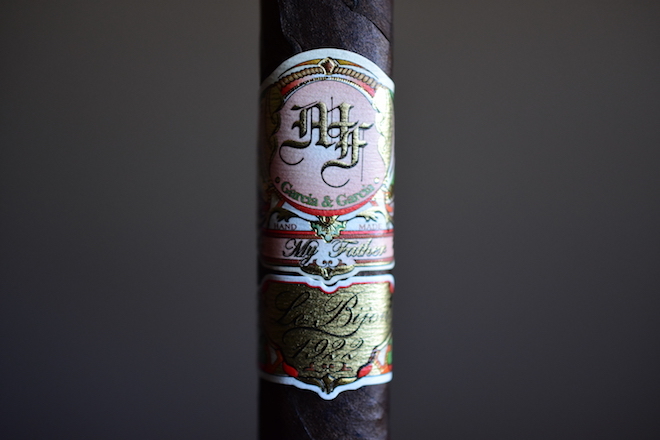 The Le Bijou 1922 carries a Nicaraguan Habano Oscuro wrapper vs. the Ecuadorian Habano/Rosado that you find on the standard My Father blend resulting in a much bolder, stronger blend. The Le Bijou 1922 comes in five core formats, the Churchill (7 x 50), the Grand Robusto (5.6 x 55), the Petite Robusto (4.5 x 50), The Toro (6 x 52) and the Torpedo Box-Press (6.1 x 52) which comes in boxes of 23 ranging between $7 and $12.25 a stick. I got mine over from our great friends at Bonita Smoke Shop. 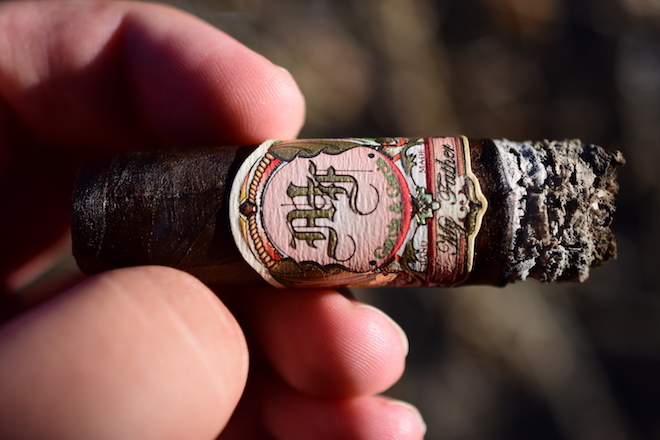 While this cigar/format was originally released in 2011, Cigar Aficionado listed it as this past year’s #1 cigar of the year which prompted me to take a look at it and bring you this review. We’ve actually reviewed the Toro back in 2010 and did a quick draw of this same box-pressed torpedo version in 2011. 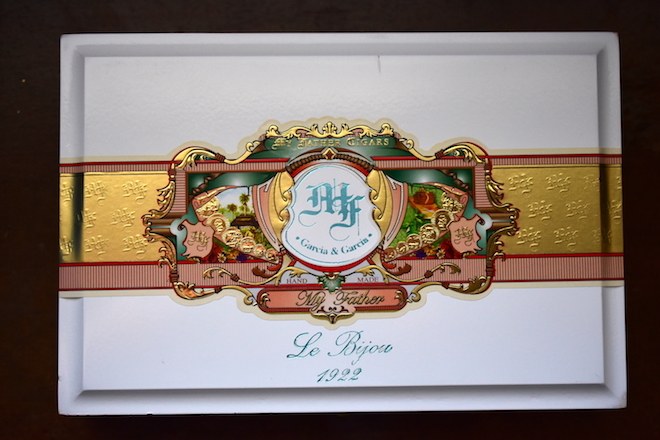 The My Father Le Bijou 1922 starts out with one of the most beautiful wrappers I have ever seen on a cigar. It’s a very dark brown in color with lots of almost black areas scattered throughout the wrapper leaf. 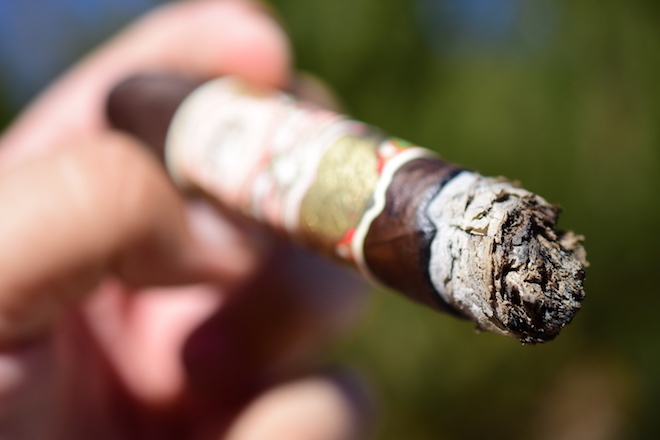 The texture is very rough and toothy while the cigar is covered in thick oils. There are a few very minor veins and some great natural webbing in the leaf. The wrapper feels very dense and hard while the cigar as a whole is very firm from cap to foot as I squeeze it between my fingers. This particular format sports a very comfortable soft box press that leads through the cigar’s body up to a very sharp, tapered, torpedo cap. The My Father Le Bijou 1922 is polished off with three sets of bands. The first is the standard gold, greed, red, and white band that you find on the My Father blends which carry the My Father crest. The details on this band is incredible. The second band is a smaller one with the same basic design which carries the Le Bijou 1922 crest. The third is a simple orange ribbon fount around the foot. I’ve only seen the ribbon placed on the box-pressed torpedo version of this cigar, although I may be wrong about that. 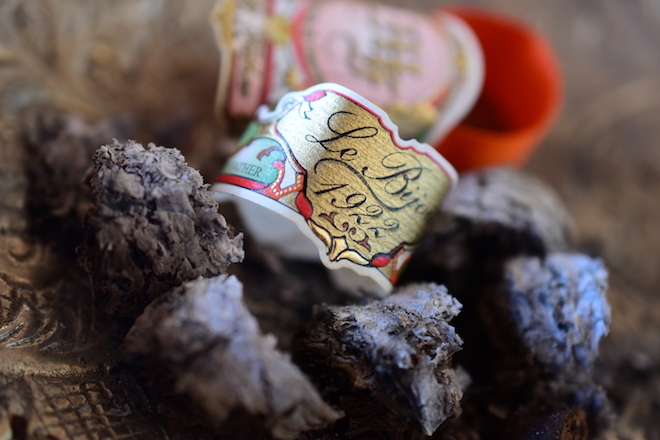 The wrapper on the My Father Le Bijou 1922 gives off a very pungent musk and cedar with some great sweetness while the foot of the cigar carries a much more earthier, natural aroma with lots of sharp pepper. The cap took a little bit of effort to clip using my Palio double bladed cutter. The cold draw was a bit snug, but produced some very bold spice, pepper, sweetness, and musk flavors. Right off the bat the My Father Le Bijou 1922 leads off with some very strong cayenne pepper that left my lips and tongue tingling. After a few puffs though, the pepper almost completely disappears and I am left with some great bold musk, spice, sweetness, oak, and coffee flavors. The flavor profiles starts off very bold and continued to increase slowly as I made my way through the first third. The draw started out very tight but had really started to open up after about an inch or so and is now kicking out a great deal of smoke with each puff. The burn line is pretty thick and slightly wavy leaving behind a trail of slightly compacted white and dark gray ash which held on for about an inch before falling into my ashtray. The flavors have become a bit more creamy and subtle in the second third of the My Father Le Bijou 1922. 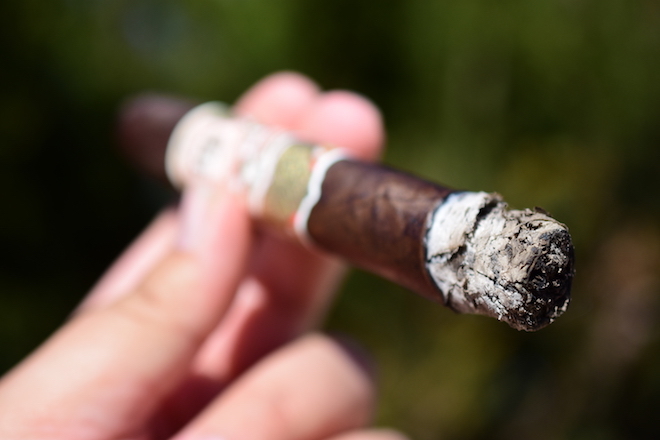 The cigar is still leading with musk and oak backed by some great spice, sweetness, and coffee but the flavors are nowhere near as bold as the first third. While the flavors tamed a bit, the strength hasn’t it’s rockin’ hard. The retrohale produces some great cedar and a whole ton of sweetness with some sharp pepper that is no longer found in the regular flavor profile. The burn line is still a bit wild, but the draw has been much better so I’m not complaining. 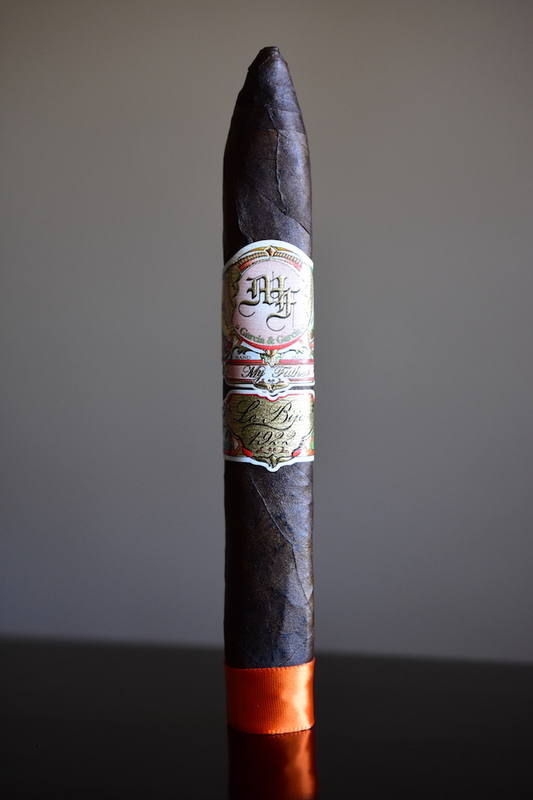 In the final third of the My Father Le Bijou 1922 and the flavor has been pouring back onto the experience and is now well into the full category along with the full strength. The flavors are still heavy on the oak and musk backed by spice, sweetness, and coffee with a bit of the pepper squeaking back in there. The cigar burns very slow and it took my 2 hours to take it down to the nub. I experience no harshness, no extra heat and despite a sketchy burn, I never once had to reach for my torch to touch up or relight the cigar. I close out the cigar with a pretty heavy little nicotine kick. The My Father Le Bijou 1922 was an outstanding stick the first time I smoked it and this still holds true today. The flavors are absolutely solid, the burn was great, the availability is awesome, the price is good, and this format in particular is outstanding. I’m not going to try to figure it this would make my top 10 if it was released last year, not will I try to justify CA’s reasoning behind their decision. Just know that this is a great cigar, and if for some crazy reason you still haven’t tried one, there is no better time than now. 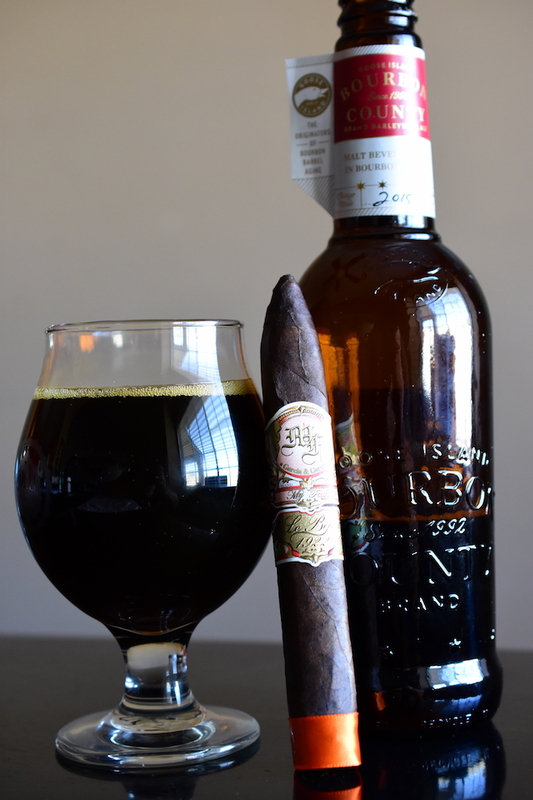 Coming in with another Bourbon County variant this week, I decided to pair the My Father Le Bijou 1922 with Goose Island’s 2015 Bourbon County Barely Wine. Brewed in Chicago’s Goose Island brewery, this extremely rare barley wine comes in at a whopping 12.9% ABV. The Bourbon County Barleywine leads with some great bitterness, sweetness, oak, and cherry with a heavy mouthfeel before finishing very sticky and malty with lots of oak, sweetness, and a nice little bourbon aftertaste. I know that some of the Goose Island Bourbon County Barleywines were infected and didn’t taste proper, but that doesn’t appear to be the case in this bottle as it’s absolutely wonderful. The sweetness, oak, malt, and bourbon marries up perfectly with the flavors that reside in the My Father Le Bijou 1922’s flavor profile. I think this cigar would pair perfectly with a sweet bourbon, a tawny port, or a bold Belgian quad. I just picked one of these up last week as I’m a fanatic about the Petit Robusto size. While I enjoyed the box pressed torpedo, I still prefer the Petit Robusto size. 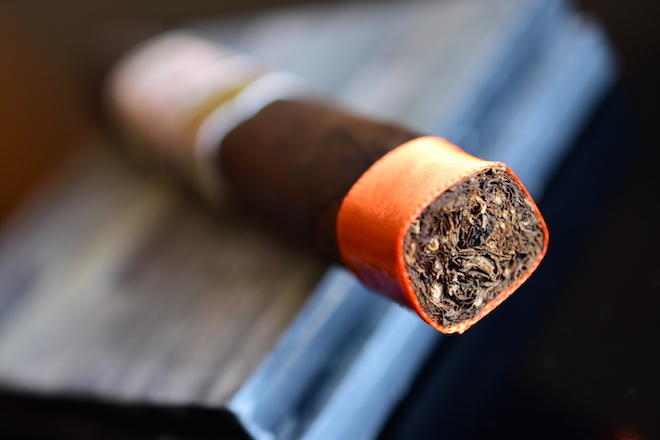 The box pressed torpedo is a gorgeous looking cigar all the way up and down though. The Petite Robusto is probably my favorite as well, followed by the box press. There is just something about box pressed cigars. They’re so comfortable. That sounds like a bit of a deadly combo, lol. Like you and Troy, I have really liked the Petit Robusto, but haven’t had any of the other sizes.